« What’s Wrong with this Picture?! Novelty songs are always hit or miss, but Christmas is a time of especially egregious examples of eccentric tunesmithery. 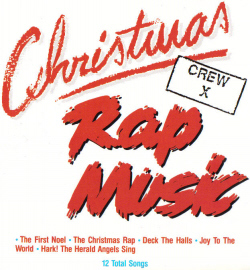 Here’s a couple of raptastic, craptastic examples from 1992 by “Crew X” with all the best beats a cheap drum machine can make, and hitting all of your fave public domain rave-ups. This entry was posted on Sunday, December 13th, 2009 at 5:59 pm	and is filed under Holidays, MP3 Monday. You can follow any responses to this entry through the RSS 2.0 feed. Both comments and pings are currently closed.